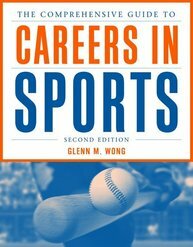 "The Future of Sports Management"
Author Glenn Wong recently spoke to prospective sports professionals and students alike about “The Future of Sports Management.” Sponsored by the Association of Diversity in Sport (ADS), the event took place at the Isenberg School of Management at the University of Massachusetts Amherst. Preventing Sudden Death in Sport and Physical Activity has received 5-stars from Doody’s Review Service! 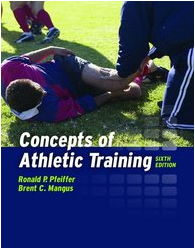 Focuses on the care and management of sport and activity related injuries while presenting key concepts in a comprehensive, logically sequential manner. Addresses all aspects of sexuality—biological, spiritual, psychological, and sociocultural—and presents the information both factually and impartially. "On August 8, 1985, somewhere between 11:00 and 11:10 p.m. EST, the path of my life unfurled in front of me. I have nearly no memory of approximately 6 hours of my life, while I was in a coma, due to the severe exertional heat stroke." In the foreword to the groundbreaking new text, Preventing Sudden Death in Sport and Physical Activity, Doug Casa tells the amazing story behind his quest to prevent sudden death in sport. "Almost every year since the early 1980s, I have served as a volunteer athletic trainer for the New York State Empire State Games (ESG). These annual Games, generally held in late July, serve as a statewide Olympic-type event for several thousand amateur athletes. I was assigned as the head athletic trainer for Athletics (track and field) during the 1985 Empire State Games that were held in Buffalo, New York. Although this was quite some time ago, I vividly recall a frightening life-threatening scenario that has had a tremendous impact on me in many ways.